The Kensington MMA Fightshort is developed to move smoothly during any fight. The wider leg opening guarantees to land even the highest kicks. 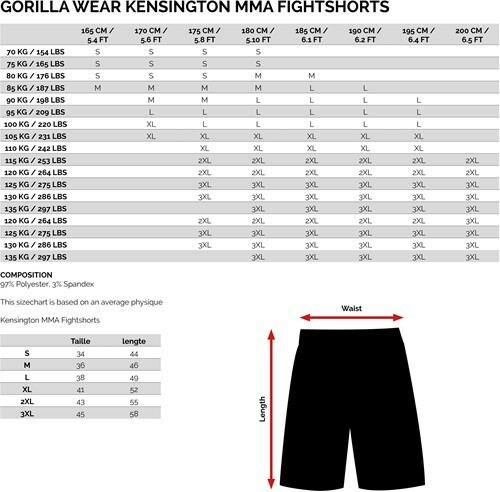 Thanks to innovative technologies the Kensington MMA Fightshorts will provide a unique lightness and freedom of movement. The shorts are extremely durable and can handle every situation. It is time to focus completely on your fight. Gear up with the Kensington MMA Fightshorts!